All has been revealed! 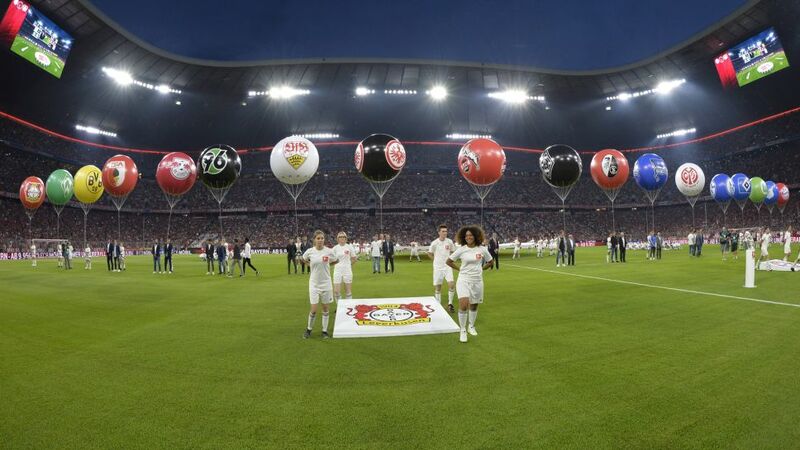 The fixtures for the 2018/19 season have been released and we now know who, when and where every Bundesliga fixture will take place - and it all starts on Friday, 24 August. Click here to watch the fixture release as it happened! It will be the 17th time the reigning champions kick off their title defence with a stand-alone, showpiece match, and if their recent history is anything to go by, last season's table-toppers Bayern Munich will serve up a Matchday 1 stunner when they face Hoffenheim to start 2018/19. Opening day fixtures are always exciting events, but how have the best been played out in the past? It was a night for the new boys as Bayern began their title defence in sizzling fashion. The Red ballet were two up inside 20 minutes through goals from summer recruits Niklas Süle and Corentin Tolisso. History was made as VAR was later used for the first time in the Bundesliga, match referee Tobias Stieler consulting with the team of officials in Cologne to reverse a penalty decision, with Robert Lewandowski sweeping in the resultant spot-kick. Admir Mehmedi pulled one back for Leverkusen, but the damage had long been done and the marker laid for a sixth successive title triumph. Werder Bremen fans look away now! A night of utter despair for the Green-Whites, one of sheer delight for Bayern who gave new coach Carlo Ancelotti a winning start with the biggest-ever opening game triumph. Xabi Alonso's breathtaking opener set the bar high for 2016/17, Robert Lewandowski did likewise in the Torjägerkanone race with a hat-trick while Philipp Lahm's last Bundesliga goal was more than a mere footnote. Despite their regional rivalry, Hamburg fans must have had some sympathy for their Bremen counterparts having been on the receiving end of a commanding Bayern performance 12 months earlier. Once Medhi Benatia had gotten Bayern moving in the first half, Thomas Müller and a Lewandowski brace swiftly took the game away from the visitors as Pep Guardiola's men produced an imperious display. On his Bundesliga debut, Douglas Costa killed off the Bundesliga's only ever-present club with a fifth as Bayern laid down an early marker for their title rivals. *since the defending champions have started the new season with a Friday night fixture. Click right here for more Bundesliga news, view and features!